A race against time that ultimately reveals the true and lasting value of love over money. 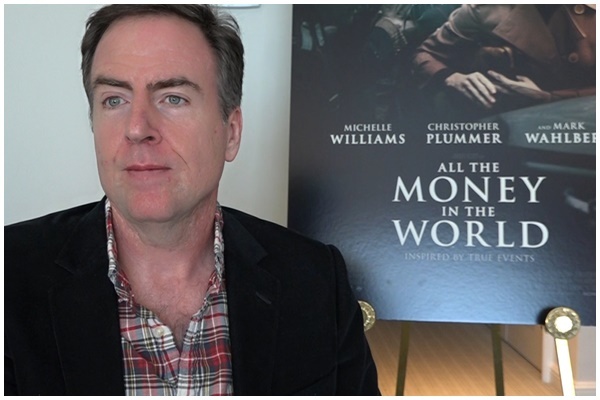 The journey from page to screen for All The Money In The World began when producer Quentin Curtis optioned John Pearson’s book on Getty, called Painfully Rich: The Outrageous Fortune and Misfortunes of the Heirs of J.Paul Getty that focused specifically on the infamous kidnapping. He brought the project to screenwriter David Scarpa. Scarpa, whose screenwriting career began with an original screenplay for DreamWorks that became The Last Castle, and Scott Derrickson’s The Day The Earth Stood Still, was intrigued by Getty’s notorious miserliness and what that represented emotionally. “I of course knew about that kidnapping but really I had always wanted to do something about money and how it controls and shapes people’s lives,” says Scarpa. 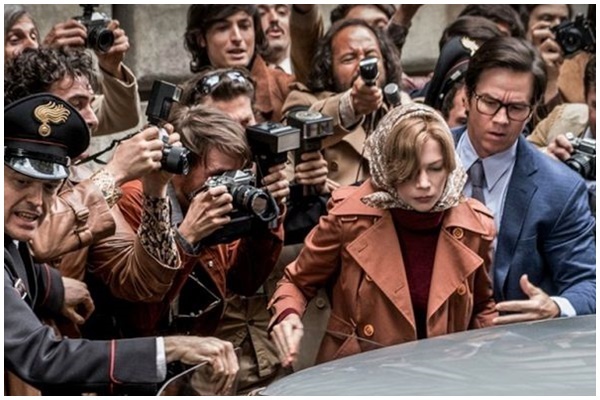 All The Money In The World follows the kidnapping of 16-year-old John Paul Getty III (Charlie Plummer) and the desperate attempt by his devoted mother Gail (Michelle Williams) to convince his billionaire grandfather (Christopher Plummer) to pay the ransom. 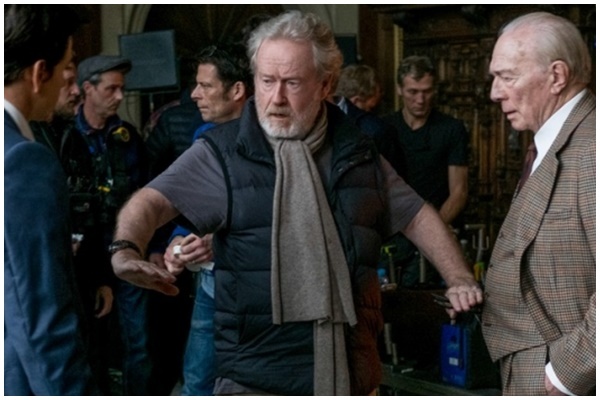 Ridley Scott directs from a script written by David Scarpa. “The obstacle wasn’t paying the ransom and rescuing his grandson – the obstacle was psychological, he just couldn’t bear to part with his money,” says Scarpa. “And so the story goes from being a standard issue thriller to something that examines the hold this money has over this man, how it affects his family and even the kidnappers. The most important thing, the life of a child, and he can’t bring himself to pay for it for all sorts of reasons. Even this wealthy man, the richest in the world, is held hostage by this money,” Scarpa notes. Scarpa crafted the script, shaping the structure based on the kidnapping itself and combining two venerated genres in a new way. “The kidnapping provided the spine of the script, although we do go back in time to the childhood of the boy and background into who Getty was. The biggest structural challenge was balancing the kidnapping drama with a classic biopic and we sort of smashed those genres together. The idea was to move back and forth between this thriller and this Shakespearean family drama at the same time,” Scarpa notes. Scarpa’s script landed on the 2015 Black List. Producers Dan Friedkin and Bradley Thomas of Imperative Entertainment read it, and immediately found the story captivating. Ridley Scott wasn’t keen on a movie about the Getty crime … until he read the screenplay. “The word Getty conjured up a specific memory for me, I of course knew who he was and was familiar with the incident and I wasn’t particularly interested. But within a few lines and after meeting with Dan and Bradley, I knew I was in good hands. A great script like this is the jewel in the crown and it’s the hardest part. When I read it, I thought ‘wow.’ The material and the script were great and I absolutely wanted to make this movie,” Scott recalls. Scott notes the fascinating dichotomy of J. Paul Getty – his famous tight-fistedness made headlines of course, but so did his business acumen and ultimately his philanthropy. “He had guts and brains. You don’t fly into the Middle East in 1948 and buy up oil and land rights unless you have courage and cleverness. He was a brilliant man, but all that fell away when he was asked how much he would pay for his grandson and he said ‘Nothing.’ Everyone was shocked to the core. But he was also sending a message to the kidnappers. People who kidnap people are essentially terrorists and today, governments won’t negotiate with them. So, in a way Getty was being modern in his approach. Did he really mean that? I don’t think he could have – it was propaganda from him to the kidnappers. And people forget that he was a philanthropist on many levels. By the time he’d begun to think about his legacy, he was already in the process of building what’s now the Getty Villa in Santa Monica, this beautiful museum that’s free to the public,” Scott notes. Paul Getty lived a remarkable and yes, cinematic life. A millionaire by the time he was 24, a famous party boy in his youth, hobnobbing with the rich and famous, reckless with his fortune, he eventually returned to the “family business.” He became a disciplined, ruthless capitalist but also a patron of art and architecture. Among other accomplishments, he was the mastermind behind the recreation of Hadrian’s Villa we know today as The Getty Villa in Malibu, California. Getty was a man of many contradictions – unfathomably rich and relentlessly cheap, loving and cruel. Ultimately, J. Paul Getty’s contradictory actions, morally ambiguous nature and his complicated family relationships fascinated Plummer, who was familiar with the infamous abduction and Getty’s surprising reaction, but less so about the man himself. “The kidnapping is a big part of one’s knowledge of Getty but he was a very inward man, not particularly showy. Obviously he worshipped money – he liked lovely things because they never change or disappoint. There is a purity for him in beautiful objects that he didn’t find in people. I think he also had a less well-known humanity. Even his unsentimental attitude about the ransom – he excused it by rationalizing that he had so many grandchildren, to pay for one, then that leads to more kidnapped grandchildren. So there is some sort of cold logic to that and the script asks us to delve into that, especially as it relates to his complex relationship to his family,” Plummer observes. 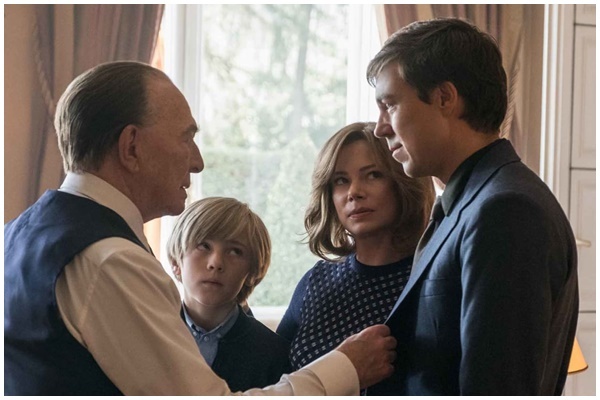 Michelle Williams plays Gail, John Paul Getty III’s indefatigable mother who outwits and out-maneuvers both her miserly father-in-law and the kidnappers in a high stakes effort to rescue her son. Williams researched Gail as much as she could, via clips on YouTube, articles and books that mostly offered third-person accounts or mere snippets of Gail. Scott notes that there was very little research material about Gail available to Williams aside from pieces she found on the Internet. After her divorce, Gail resolutely removed herself from the fame and fortune of the Getty family and had successfully become a private citizen. It was only the infamous kidnapping that thrust her unwillingly back into the public domain. Mark Wahlberg portrays Fletcher Chace, Getty’s pragmatic, enigmatic and often morally conflicted advisor and fixer. Like Williams, Scott and the material initially attracted Wahlberg to the project, in that order. “I was always fascinated by the story itself but the real draw was Ridley Scott. I’ve always wanted to work with him; we’ve been friendly over probably the past 20 years. I’ve always been a huge fan and I was in the middle of shooting another movie. I had five days in between two films. I checked with my wife just to let her know what a unique opportunity it was to play this particular part, and also to work with a guy that I admire so much. And when I read the part, I was even more eager because it’s not the kind of role I usually get to play. Ridley said, you know, no guns, no teddy bears, and I didn’t beat anybody up. It was nice to play a well-educated guy who does a lot of interesting things for Mr. Getty,” Wahlberg says. Wahlberg didn’t turn up much about Chace in his research, befitting such man with such a secretive job. “He was head of the crew team at Harvard, a former frogman, Navy SEAL, CIA agent, ran an oil business, and he was advising other oil companies when Mr. Getty realized how resourceful he would be and he ended up working for Getty Oil full time,” Wahlberg says. “You put on the suspenders and the waistcoat and you’re pretty much there and the dialogue was so beautiful and well written,” he says. 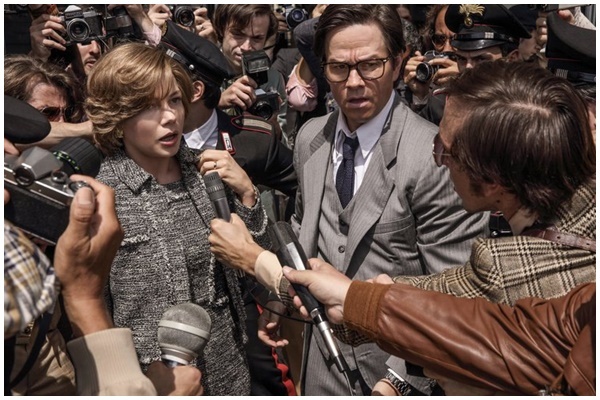 Wahlberg in fact immersed himself into the script and his thoroughness served as his preparation, especially helpful in depicting a character whose loyalties and beliefs are challenged over the course of the kidnapping. “I read the script out loud four times a day; I know it from beginning to end, back and forth so I don’t have to think about it during shooting. For me it was about exploring the nuances of the scenes especially when Fletcher Chace starts to shift. The idea was to track that and to be as prepared as possible so that even when we shot out of order,” Wahlberg explains. Charlie Plummer, no relation to Christopher, plays the Getty’s unfortunate abducted grandson John Paul Getty III. 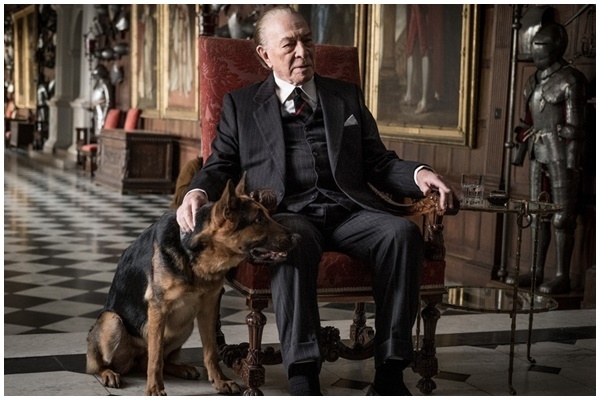 Plummer describes All The Money In The World as a “cautionary tale” with relevance today, despite the outrageous, almost unbelievable circumstances of John Paul Getty’s capture and the rarefied circles of the Getty family. “Ridley and I talked about that a lot in the beginning, the question of what do you do when you seemingly have everything? My character goes from a modest upbringing into the powerful, affluent world of his grandfather and then into extreme deprivation and brutality at the hands of his kidnappers. At the end, he regains his freedom. When you have nothing, there is someplace to go, but when you have everything with no moral compass, then what? He ended up having a very tragic life. I think those questions are applicable today especially for my generation. We live in a society where the goal for a lot of people is to have as much as possible. I think one of the ideas of the film is that if you’re a sad person, whether you are wealthy or not, you will still be a sad person because happiness does not come from things outside yourself,” Plummer says. It was Plummer’s “gangly charm” that interested Scott and his ability to play the quintessential “manchild,” whose youthful confidence and insouciance quickly turns to real terror and literal and figurative insecurity. “He looks like an adult and someone who has experienced the world but he has a boyish charisma. It’s why I wanted to open the film under the Via Veneto, like in ‘La Dolce Vita,’ one of my favorite films. It was where the Euro trash and prostitutes and trust fund kids would hang out alongside film stars and paparazzi. To see a 17-year-old, out at night by himself there, looking at women, meeting these beautiful Italian street walkers who are a little bit older than him and he handles himself very well, he’s very assured. It’s a good intro to him, it tells you everything about him immediately. So, when he’s taken, thrown into a world that is inconceivably different, at the mercy of these brutal kidnappers, then suddenly the kid comes back. And Charlie played that beautifully,” Scott says. Ultimately, Gail is the only character uncorrupted by the Getty fortune. Her only focus being the safe return of her son. The money was just the means by which to achieve that end. Her motivation is the pure love a mother has for a child and her grit and selfless stubbornness becomes an example for everyone. But, as William’s points out, Gail must prove her determination over and over. “It’s a suspenseful drama of course, but I also think it’s a feminist piece. It explores what it’s like to be a woman in a man’s world. She innately understood that in order to really be taken seriously, she had to gather all her faculties and powers to fight to keep control, so that she could have a seat at the table. There are so many scenes in which she is dismissed, marginalized, kept on the outside because she is a woman. I always love those kinds of characters, tough nuts who are real and complicated with spikey little bits. Gail cannot fall apart, she has to keep her eye on the prize, but the route to achieving that changes day by day, as the situation morphs, often based on events and people well beyond her control,” Williams explains.